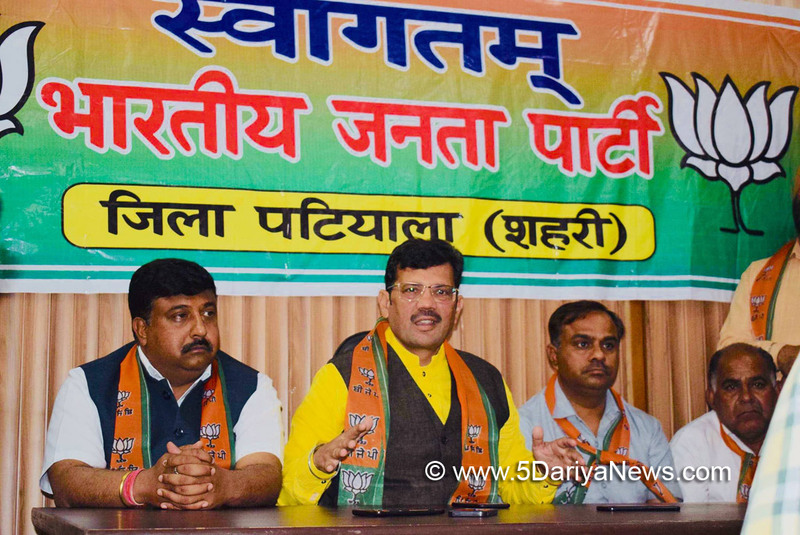 Former Punjab BJP President and National Executive member, Kamal Sharma, today said that Captain Amarinder Singh led Punjab government has miserably failed on all fronts with the Congress ministers and MLA's plundering resources of state with both hands.Sharma, who was here to address a meeting of workers for party's 'Bajao Dhol, Kholo Pol' rally of the party scheduled on March 18 in Jalandhar, said that even after completing first year Amarinder led government is yet to wake up from the deep slumber.The former state BJP chief said that there is no government in the state and the Congress Ministers and MLA's have started forcefully collecting 'Goonda Tax' from every business. "What can be more embarrassing for the Chief Minister that he himself has to spot the illigal mining from his chopper even after ordering district and police administration to crack down on this Mafia. More astonishingly, the illegal mining has not stopped anywhere even after this sting operation which was done by the Chief Minister, " said Sharma.He said this government has also gone all out to suppress the voices of the opposition who are opposing the illegal acts of the CongressmenNames of various Ministers and MLA's are coming up in the illegal sand mining business but the Chief Minister is helpless and have not taking any action, the BJP leader said. "The SAD-BJP workers are being framed in false cases to settle political scores. And the Police has become a tool in the hands of Congress leaders," he said.Talking on claims of ending VIP culture in Punjab by Amarinder government, Sharma said such claims have proved complete eyewash.He said Jalandhar rally of the party will be a big success as the people of Punjab are completely fed-up with the government in just one year of rule.